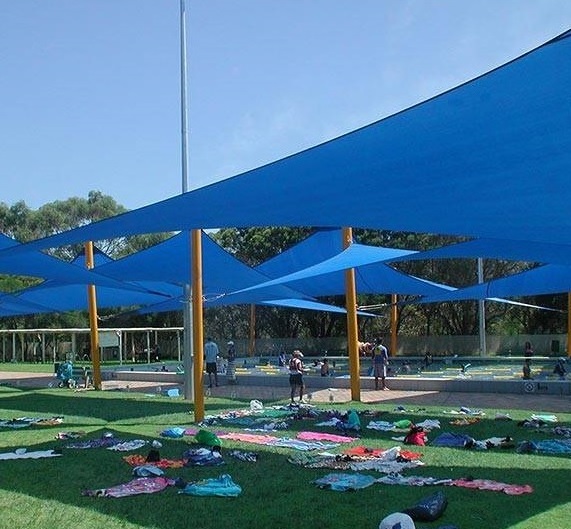 Shade & Sail Innovations design and manufacture a wide array of shade sails and shade structures in the city of Perth. Along with our comprehensive residential services, we also provide commercial shade sails for businesses and civil projects. 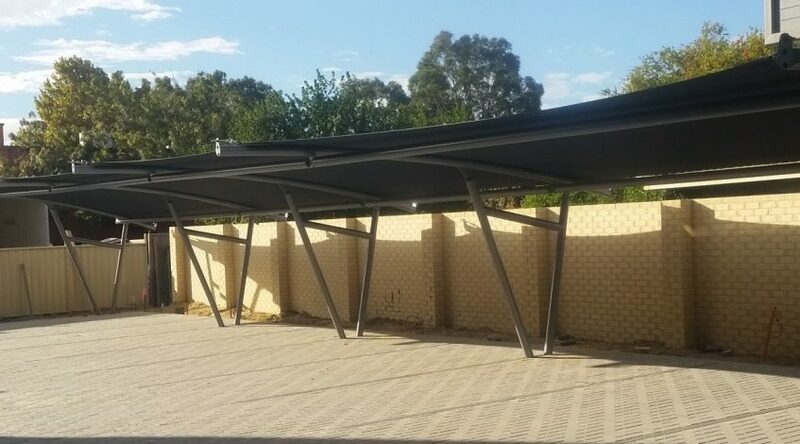 Shade sails are not just used in homes, they’re also ideal for public outdoor areas such as community centres and sporting fields, and commercial applications such as shopping centres, car yards, mine sites and child care centres. Regardless of the application, we create commercial shade sails that are strong, durable, and flexible enough to meet the needs of your business. Here at Shade & Sail Innovations, we have access to a wide range of software tools and production equipment. Instead of relying on third-party businesses to perform design and fabrication tasks, we employ a highly experienced team of experts who handle your project from beginning to end. Our commercial shade sails are fabricated in-house using advanced CAD software. Our computer applications have been designed and purpose-built to meet the specific needs of your business. When it comes to manufacturing, we have access to our own production workshop and sewing loft, which we use to create commercial shade sails in Perth and other made-to-measure shade solutions. From the initial design phase using computer software through to advanced steel support and shade sail fabrication, we have access to some of the best tools on the market. Along with our residential and commercial services, we also act as a wholesaler to shade sail businesses across the world, something we couldn’t do if we didn’t have access to the best technology in the industry. Along with the cloth used in the shade sails themselves, we also place a lot of importance on the supporting poles and fixing materials used for construction. We only use the best quality steel components, with all materials manufactured according to design and powder coated in the colour of your choice. Our commercial shade sails in Perth are modern, innovative, and require very little maintenance to stay looking their best. This is especially important in the commercial sphere, where bad design choices and poor construction techniques can lead to cost blow-outs and costly maintenance fees for years to come. The commercial shade structures and sails manufactured by Shade & Sail Innovations are ideal for a range of commercial applications. Unlike other companies who produce a few static designs, we design and manufacture a range of shade sail structures for a variety of commercial uses. The flexible nature of our design and construction process gives us a big edge in the commercial market, with our products able to meet the demands of any business environment. Common applications include shopping centres, parking lots, schools, sporting fields, apartments, childcare centres, playgrounds, community centres and more. Our shade sails are designed to be both functional and attractive, protecting you from the elements while improving the look and feel of your business. Unlike some other companies, our customised shade sails have been designed and manufactured to meet the demands of the harsh Australian climate. We only use the best quality steel components and the most advanced cloth fabrics, with a range of colours available to match your building or environment. Our shade fabric has been designed to provide up to 96% UV protection while still having the ability to breathe as hot air circulates. With over 22 years in the shade sail industry, Shade & Sail Innovations provides a full installation service across Perth and a range of shade kits for local, interstate, and international businesses.